Exhibit starts on Wednesday Feb Feb 21 at @crate.gallery in beautiful Bali. Perseverance is scheduled to runs for 2 - 3 weeks from the 21st, so you should get down there as soon as you can, or you are gonna miss out. Luang Prabang was lined in red carpet last night for the kickoff of the eighth Luang Prabang Film Festival. Normally known as a sleepy town steeped in local tradition, a more cosmopolitan crowd descended upon Luang Prabang for the festival’s opening. Filmmakers from all across Southeast Asia and abroad have flocked to this UNESCO World Heritage site to celebrate Southeast Asian cinema for six days and nights. For some artists, the right to pursue their creative passion is a right worth fighting for. Among them is Sokuntevy Oeur, who, as a young girl, first developed an interest in drawing while the Phare Ponleu Selpak arts school was being built behind her parents’ Battambang home. On finishing high school, Tevy immediately enrolled, but was forced by her mother and father a few years later to abandon her studies. Ragamuffins to benefit from art auction. A white pigeon flutters free, liberated from its cage by a girl with long raven hair. A small boy wearing a blue and yellow baseball cap waves his arms in delight as a butterfly beats its wings in the wind. A couple engage in a mock dog fight with a fleet of paper aeroplanes. Self-taught Indonesian painter Mohammad Toha Hasan, the man behind these rich, colour- saturated acrylic creations, is one of several artists whose work features in a silent art auction this week. Life Creative: The Meaning of Love is hosted by arts therapy organisation The Ragamuffin Project. Lim Sokchanlina has his audience sit in a 'pop-up' narrow corridor; pop-up because Sokchanlina created it in a room of Sa Sa Bassac using a brand new, racing green fence. Confronting this steel fence in the middle of the room establishes the emotions which are about to be questioned and transformed as the conversation between the artist and his audience develops. Full Circle is an unusual artwork: a durational performance piece which will challenge and transfix both artist and audience. For six consecutive days, Amy Lee Sanford will sit amid a circle of 40 Kompong Chhang clay pots. Slowly and deliberately, she will break one pot by dropping it on the floor. She will then gather the pieces and meticulously glue the pot back together, binding the fragments with string and returning the remade pot to the circle. Over six days, all 40 pots will be broken and remade in this way. In December 1978, under the spectre of an imminent Vietnamese military invasion, the ultra-secretive Khmer Rouge leadership did something fantastically out of character - it cracked the curtains ever so slightly and let three foreigners inside. Only two would leave alive. Srey Bandaul has come a long way since he first picked up a paint brush at the SiteTwo Refugee camp on the Thai border. Spooked by personal experience of fleeing the murderous Khmer Rouge, the 38-year-old has turned memories of a traumatic past into a promising artistic future. One of the world’s most esteemed auction houses is poised to stage its first ever event in Cambodia. Christie’s, founded in London in 1766, is synonymous with fine art and today boasts offices around the world, including in London, New York, Paris, Geneva, Milan, Amsterdam, Dubai, and Hong Kong. The Institut français of Cambodia is organizing from , the fourth edition of the Festival PhotoPhnomPenh. 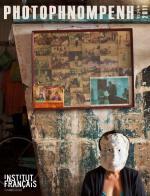 8 Cambodian photographers and 16 international (France, Germany, Switzerland, Sweden, Thailand, Bangladesh, Vietnam, Estonia, India, China, Korea) will present their latest work in nearly twenty places partners, while five thematic exhibitions provide a cross look on current and historic aspects of Cambodian culture.